Going to the Home of Champions, GenSan! Manny Pacquiao, is just one GenSan icon that consistently makes the Filipinos proud! Binansagang "Pambansang Kamao" because of consistently being victorious in his craft which boxing! His rags to riches story just "ahhh" everyone. And almost each and every boxer in the world idolizes Manny and some even would want to challenge him with a match in the boxing ring. Recently, Shamcey Supsup, crowned Bb Pilipinas Universe and Ms Universe 3rd runner up was added to the list. The undeniable beauty and brains, just wowed everyone, not only the Filipinos but the whole world. But Gensan is not all about the entertainment world. There are lot of things that Gensan is very proud of. But what drives me to go to Gensan? It'll be my first time to step foot General Santos City. Yes that's true. My family have been there a lot of times, but it's sad that I've never been there with them. Yeah, the unfortunate reality of working away from home and away from family. Plus limited number of vacation leaves when you're working office base. I wanted to see the city of Gensan and experience Gensan at it's best. The TUNA Market! How I wish I can load everything in the van and bring it all the way to Iligan. As if there's no Tuna here hehehe. My little sister is already telling me to buy how many kilos of it, canned and fresh! wew kalerky! 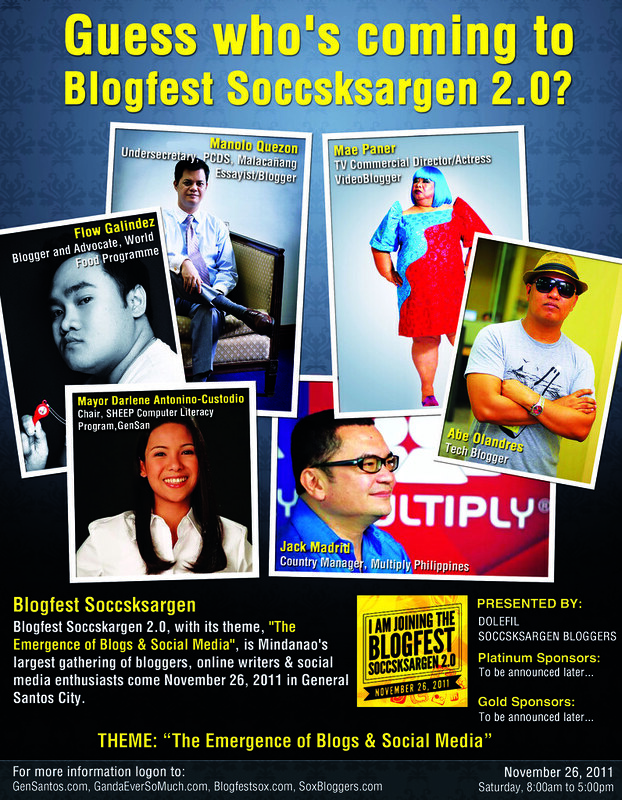 I will be attending The Blogfest Soccskargen for the first time. Blogfest Soccskargen is said to be the funnest eyeball of bloggers not only in Mindanao but with bloggers from the whole Philippines. The great part is I will be joining with the whole IBS Core Group. I wanted to listen to Mayor Darlene Antonino-Custodio, the Chief Executive of host city, General Santos. Her SHEEP-Computer Literacy Program amazed me, having launched the official websites of 69 public elementary schools and 26 barangay high schools of Gensan, making it the first to do so in our country! That's a girl power right there. I wanted to know what she did differently and what motivated her to do such project!. Another beauty and brain for Gensan huh! I wanna meet my tech blogger idol Mr. Abe Olandres in real person. 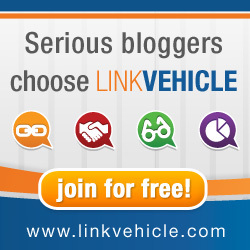 I have been a subscriber to his blogs (Yugatech and Yugadeals). We exchange tweets, we fb'd but meeting him for real is sooooooooo starstrucking! lols is there such a word? haha.. I'm excited with what he would say, what he would advice aspiring tech bloggers like I do. 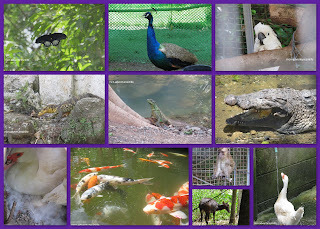 After having read gazillion of budding travel bloggers, I wanted to divert my attention to another hobby. I ain't gonna leave travel blogging of course but if I can be well rounded then why not? Two (2) of the Iligan Bloggers Society Inc. members blogs where nominated for the Philippine Blog Awards, which will happen at the evening of November 26, 2011 at Gensan. Yes I wanted to witness them receiving the award. (parang sure na sure na sa mananalo noh? hahahaha) . Okay call me stage mother then! I just can't hide how proud I am since my nominees where chosen to be in the final list. These are just a few of what I have in mind. It doesn't mean that since other speakers are not listed here, they don't interest me at all, I would love to listen and learn from them too, it's just that these two icons are the ones that wow'd me so much. Can you give me suggestions on where we can stay? 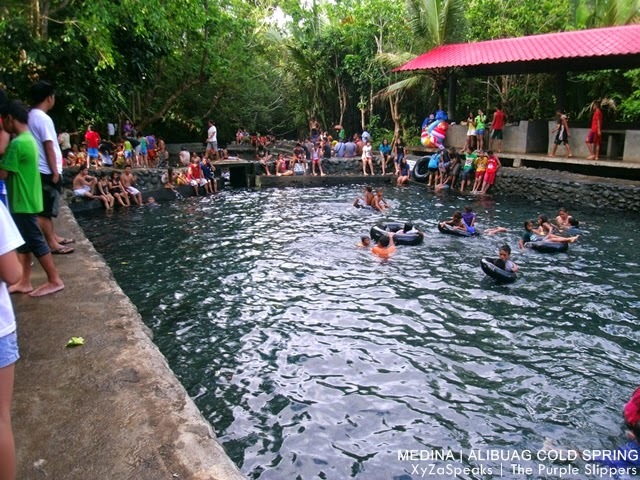 Are there places in Gensan that I must see while I'm there?